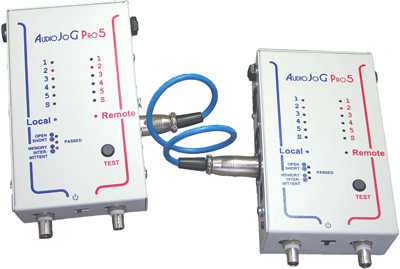 Audio/Lighting cable tester with SINGLE & DOUBLE ended testing, memory and intermittent fault detection. 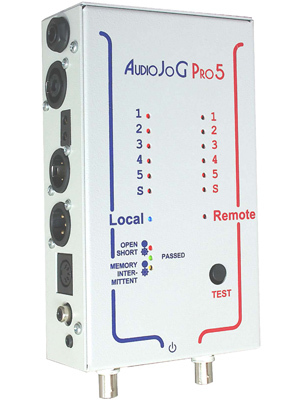 If the MEMORY LED is on, then AudioJoG Pro 5 automatically scans all the connections and compares against information held with just one press of the test button. MEMORY works in single and double ended test modes. Double ended - both ends of the cable under test are plugged into AudioJoG Pro 5. 6.35mm Jack stereo or mono. 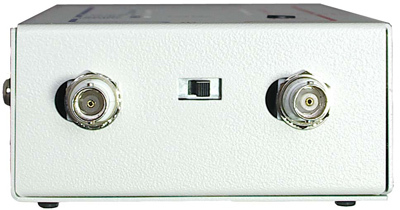 BNC 50/75ohm / HD SDI.